People: Peralta y Fabi, Neri Vela. Spacecraft: Oscar, HS 376, FS-1300, HS 601, Star bus, HS 702. Launch Vehicles: R-14, Proton, Ariane, Ariane 5, Atlas V, Falcon 9. Projects: Morelos. Launch Sites: Cape Canaveral, Baikonur, Plesetsk, Sierra de Juarez, Kourou, Santiago Ixcuintla. Agency: RVSN, El Segundo, Tele Mex, UNAM, Palo Alto, Satmex. 1950 August 15 - . Birth of Ricardo Peralta y Fabi - . Nation: Mexico. Related Persons: Peralta y Fabi. Mexican engineer payload specialist astronaut, 1985. Research scientist at National University in Mexico City. Selected as backup for STS-61B, but mission cancelled after Challenger disaster..
1952 February 19 - . Birth of Rodolfo Neri Vela - . Nation: Mexico. Related Persons: Neri Vela. Mexican engineer payload specialist astronaut 1985. First Mexican astronaut. 1 spaceflight, 6.9 days in space. Flew to orbit on STS-61B (1985)..
Morelos 1 - . Payload: Morelos-A / PAM-D. Mass: 512 kg (1,128 lb). Nation: Mexico. Agency: Morelos. Program: Morelos. Class: Communications. Type: Civilian communications satellite. Spacecraft: HS 376. Completed Operations Date: 1994-03-04 . USAF Sat Cat: 15824 . COSPAR: 1985-048B. Apogee: 36,030 km (22,380 mi). Perigee: 35,999 km (22,368 mi). Inclination: 6.30 deg. Period: 1,447.80 min. 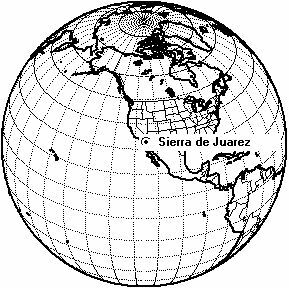 Released by STS 51G 17 June 1985; 113.5 deg W. Coverage of the national territory with television, radio and telephony signals and data transmission. Geostationary satellite. Positioned in geosynchronous orbit at 113 deg W in 1985-1994 As of 4 September 2001 located at 123.32 deg W drifting at 2.909 deg W per day. As of 2007 Mar 10 located at 176.84E drifting at 2.883W degrees per day. Morelos 2 - . Payload: Morelos-B / PAM-D. Mass: 645 kg (1,421 lb). Nation: Mexico. Agency: Morelos. Program: Morelos. Class: Communications. Type: Civilian communications satellite. Spacecraft: HS 376. USAF Sat Cat: 16274 . COSPAR: 1985-109B. Apogee: 35,792 km (22,240 mi). Perigee: 35,782 km (22,233 mi). Inclination: 0.00 deg. Period: 1,436.10 min. Released by STS 61B 11/27/85. Coverage of the national territory with television, radio and telephony signals and data transmission. Geostationary satellite. Positioned in geosynchronous orbit at 116 deg W in 1985-1998; 120 deg W in 1999. As of 5 September 2001 located at 120.20 deg W drifting at 0.004 deg W per day. As of 2007 Mar 10 located at 148.53W drifting at 2.555W degrees per day. Solidaridad 1 - . Mass: 2,776 kg (6,120 lb). Nation: Mexico. Agency: Tele Mex. Program: Morelos. Class: Communications. Type: Civilian communications satellite. Spacecraft: HS 601. USAF Sat Cat: 22911 . COSPAR: 1993-073A. Apogee: 35,811 km (22,251 mi). Perigee: 35,766 km (22,223 mi). Inclination: 1.50 deg. Period: 1,436.20 min. Stationed at 109.2 deg W. Positioned in geosynchronous orbit at 109 deg W in 1993-1999 As of 5 September 2001 located at 101.71 deg W drifting at 0.010 deg E per day. As of 2007 Mar 10 located at 102.54W drifting at 0.027W degrees per day..
Solidaridad 2 - . Mass: 2,776 kg (6,120 lb). Nation: Mexico. Agency: Tele Mex. Program: Morelos. Class: Communications. Type: Civilian communications satellite. Spacecraft: HS 601. USAF Sat Cat: 23313 . COSPAR: 1994-065A. Apogee: 35,796 km (22,242 mi). Perigee: 35,776 km (22,230 mi). Inclination: 0.00 deg. Period: 1,436.10 min. 18 C-Band transponders. Stationed at 113.06 deg W. Positioned in geosynchronous orbit at 113 deg W in 1994-1999 As of 5 September 2001 located at 112.96 deg W drifting at 0.003 deg W per day. As of 2007 Mar 11 located at 114.89W drifting at 0.001W degrees per day. 1995 March 28 - . 10:00 GMT - . Launch Site: Plesetsk. Launch Complex: Plesetsk LC158. LV Family: Topol'. Launch Vehicle: Start. FAILURE: Fell in Sea of Okhotsk..
Oscar 29 - . Payload: ENB UNAMSAT A. Nation: Mexico. Agency: RVSN. Program: Oscar. Class: Communications. Type: Amateur radio communications satellite. Spacecraft: Oscar. UNAMSAT was an AMSAT Microsat class amateur radio satellite built by UNAM, the Autonomous University of Mexico..
1996 September 5 - . 12:47 GMT - . Launch Site: Plesetsk. Launch Complex: Plesetsk LC132/1. LV Family: R-14. Launch Vehicle: Kosmos 11K65M. Oscar 30 - . Payload: UNAMSAT B. Nation: Mexico. Agency: UNAM. Program: Oscar. Class: Communications. Type: Amateur radio communications satellite. Spacecraft: Oscar. USAF Sat Cat: 24305 . COSPAR: 1996-052B. Apogee: 1,010 km (620 mi). Perigee: 966 km (600 mi). Inclination: 82.90 deg. Period: 104.90 min. 1998 December 6 - . 00:43 GMT - . Launch Site: Kourou. Launch Complex: Kourou ELA2. LV Family: Ariane. Launch Vehicle: Ariane 42L. Satmex 5 - . Payload: HS 601HP. Mass: 4,135 kg (9,116 lb). Nation: Mexico. Agency: Satmex. Manufacturer: El Segundo. Program: Morelos. Class: Communications. Type: Civilian communications satellite. Spacecraft: HS 601. USAF Sat Cat: 25558 . COSPAR: 1998-070A. Apogee: 35,799 km (22,244 mi). Perigee: 35,774 km (22,228 mi). Inclination: 0.00 deg. Period: 1,436.10 min. The Ariane placed the Satmex 5 satellite into a 211km x 21516 km x 7.0 degree orbit from which the satellite was to use its on-board engine to reach geostationary orbit. Satmex 5 was operated by Satellites Mexicanos S.A. de C.V, which took over the Morelos constellation from Mexican Secretaria de Comunicaciones y Transportes. Satmex 5 replaced Morelos 2 and carried the XIPS ion engine station-keeping system. Positioned in geosynchronous orbit at 116 deg W in 1998-1999 As of 5 September 2001 located at 116.79 deg W drifting at 0.008 deg W per day. As of 2007 Mar 10 located at 116.81W drifting at 0.002W degrees per day. Satmex 6 - . Payload: LS-1300. Mass: 5,465 kg (12,048 lb). Nation: Mexico. Agency: SatMex. Manufacturer: Palo Alto. Program: Morelos. Class: Communications. Type: Civilian communications satellite. Spacecraft: FS-1300. USAF Sat Cat: 29162 . COSPAR: 2006-020A. Apogee: 35,794 km (22,241 mi). Perigee: 35,780 km (22,230 mi). Inclination: 0.00 deg. Period: 1,436.10 min. The satellite had a dry mass of 2310 kg and a hybrid C-band and Ku-band telecom payload for telecom and internet service in Mexico and the rest of North and Latin America As of 2007 Mar 11 located at 113.03W drifting at 0.002W degrees per day..
2011 September 29 - . 18:32 GMT - . Launch Site: Baikonur. Launch Complex: Baikonur LC200/39. LV Family: Proton. Launch Vehicle: Proton-M/Briz-M.
Quetzsat 1 - . Mass: 5,514 kg (12,156 lb). Nation: Mexico. Class: Communications. Type: Civilian communications satellite. Spacecraft: FS-1300. USAF Sat Cat: 37826 . COSPAR: 2011-054A. Apogee: 35,800 km (22,200 mi). Perigee: 35,774 km (22,228 mi). Inclination: 0.00 deg. Period: 1,436.10 min. Ku-band communications satellite to be leased to Echostar..
2012 December 19 - . 21:49 GMT - . Launch Site: Kourou. Launch Complex: Kourou ELA3. LV Family: Ariane 5. Launch Vehicle: Ariane 5ECA. Mexsat-Bicentenario - . Payload: Star-2.4 Bus. Mass: 3,050 kg (6,720 lb). Nation: Mexico. Class: Communications. Type: Communications satellite. Spacecraft: Star bus. USAF Sat Cat: 39035 . COSPAR: 2012-075B. Apogee: 35,794 km (22,241 mi). Perigee: 35,778 km (22,231 mi). Inclination: 0.00 deg. Period: 1,436.10 min. Domestic Mexican Mobile Satellite Services using 12 Ku-band and 12 C-band transponders..
2013 March 26 - . 19:07 GMT - . Launch Site: Baikonur. Launch Complex: Baikonur LC200/39. LV Family: Proton. Launch Vehicle: Proton-M/Briz-M.
Satmex 8 - . Payload: EUTE 117 WEST A. Mass: 5,500 kg (12,100 lb). Nation: Mexico. Class: Communications. Type: Communications satellite. Spacecraft: FS-1300. USAF Sat Cat: 39122 . COSPAR: 2013-012A. Apogee: 35,797 km (22,243 mi). Perigee: 35,777 km (22,230 mi). Inclination: 0.0200 deg. Period: 1,436.11 min. Communications satellite for Satelites Mexicanos..
2015 March 2 - . 03:50 GMT - . Launch Site: Cape Canaveral. Launch Complex: Cape Canaveral LC40. Launch Pad: Cape Canaveral SLC40. LV Family: Falcon. Launch Vehicle: Falcon 9 v1.1. Eutel.115 West B - . Payload: BSS-702SP. Mass: 2,000 kg (4,400 lb). Nation: Mexico. Class: Communications. Type: Communications satellite. Spacecraft: HS 702. USAF Sat Cat: 40425 . COSPAR: 2015-010B. Apogee: 35,787 km (22,236 mi). Perigee: 35,786 km (22,236 mi). Inclination: 0.00 deg. Period: 1,436.10 min. Eutelsat 115 West B was owned by Eutelsat Americas (Mexico City), and was called Satmex 7. Satmex was taken over by Europe's Eutelsat and renamed Eutelsat Americas in March 2014..
2015 May 16 - . 05:47 GMT - . Launch Site: Baikonur. Launch Complex: Baikonur LC200/39. LV Family: Proton. Launch Vehicle: Proton-M/Briz-M. FAILURE: Malfunction of the third stage vernier engine 8 minutes into flight led to a premature shutdown and impact of stage 3, Briz-M and payload in the Chita region between Lake Baikal and the Chinese border.. Failed Stage: 3. Mexsat-1 - . Payload: Boeing 702-GEM. Mass: 5,325 kg (11,739 lb). Nation: Mexico. Class: Communications. Type: Communications satellite. Spacecraft: HS 702. Apogee: 160 km (90 mi). Perigee: -2,000 km (-2,000 mi). Inclination: 50.50 deg. Satellite for the Mexican Communications Ministry, providing secure military communications and enhanced civilian services..
2015 May 27 - . 21:16 GMT - . Launch Site: Kourou. Launch Complex: Kourou ELA3. LV Family: Ariane 5. Launch Vehicle: Ariane 5ECA. SKYM-1 - . Mass: 3,182 kg (7,015 lb). Nation: Mexico. Class: Communications. Type: Communications satellite. Spacecraft: Star bus. USAF Sat Cat: 40664 . COSPAR: 2015-026B. Apogee: 35,794 km (22,241 mi). Perigee: 35,779 km (22,231 mi). Inclination: 0.0100 deg. Period: 1,436.11 min. Television broadcast satellite for Sky Mexico, a joint venture of DirecTV and Mexico's Televisa. Geostationary, at 66.8W..
2015 October 2 - . 10:28 GMT - . Launch Site: Cape Canaveral. Launch Complex: Cape Canaveral LC41. LV Family: Atlas V. Launch Vehicle: Atlas V 421. Morelos-3 - . Payload: Boeing 702HP GeoMobile. Mass: 5,400 kg (11,900 lb). Nation: Mexico. Class: Communications. Type: Communications satellite. Spacecraft: HS 702. USAF Sat Cat: 40946 . COSPAR: 2015-056A. Apogee: 35,790 km (22,230 mi). Perigee: 35,783 km (22,234 mi). Inclination: 7.09 deg. Period: 1,436.09 min. Mexican communications satellite with a 22-metre L-band antenna reflector..